Doha in May is a very different proposition from Doha in November, as one industry association discovered the hard way. 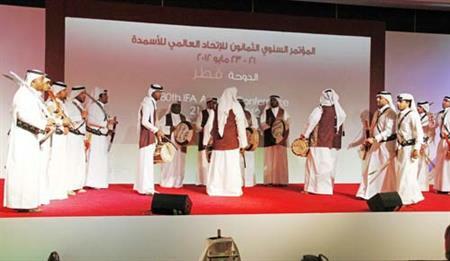 The International Fertilizer Industry Association (IFA) was invited to Doha by a local member company. Luc Maene, IFA director general, says: "We only go by invitation. We held a smaller event in Doha a few years ago in the cooler month of November, which was very well organised. However, as our annual conference takes place in May, the climate made us hesitant. "The IFA annual conference took place in Montreal last year and Paris in 2010, so it was time to visit the Middle East. "The St Regis hotel was scheduled to open before the conference and was considered as the main venue, but we could not risk it not being finished on time. "Instead, we chose the Ritz Carlton, with three hotels nearby providing 150 meeting rooms. This suited members because they could receive clients in different hotels from their competitors." "Visas were a concern," says Maene. "We liaised with our member in Doha, which set up a website where members could apply for a visa." For the final evening, the IFA had booked the brand new Qatar National Convention Centre, which opened in December 2011. But, with two months to go, the venue was declared alcohol free. "Plan B was to have a marquee at the convention centre," explains Maene. "Although, with catering for 1,200 and air conditioning, this would have been expensive. Luckily, the St Regis hotel had opened and met our capacity." The climate was a challenge, too. Maene says: "I would recommend Doha - the connections are fantastic - but not in May. Many members did not want to come, although they came because the meeting is important for business. "One firm held an early evening reception outdoors at the golf club. The dress code was business attire, but it was 40degC. Most people turned up, had a glass of water and disappeared. It was a disaster. "We had 60 cancellations that were too late to qualify for a refund from the Indian Fertilizer Association. We agreed that half of the fee could be used as credit for next year's meeting." Some 1,170 delegates attended from 72 countries, including 380 companies and seven associations. Numbers were down by 255 delegates from Montreal in 2011. "This was not unexpected because of the gruelling temperatures," says Maene. "There were fewer spouses, but Doha is a less desirable attraction than Paris and Montreal. "My advice, and this is for any event, is to be precise about what you require from the destination or venue so you can work together. "We also had two events people from the Four Seasons hotel in Chicago, our host for the 2013 meeting. It is a clause in our contract to have an operational person visit the previous year's event."